Learn how to share your slide presentation. 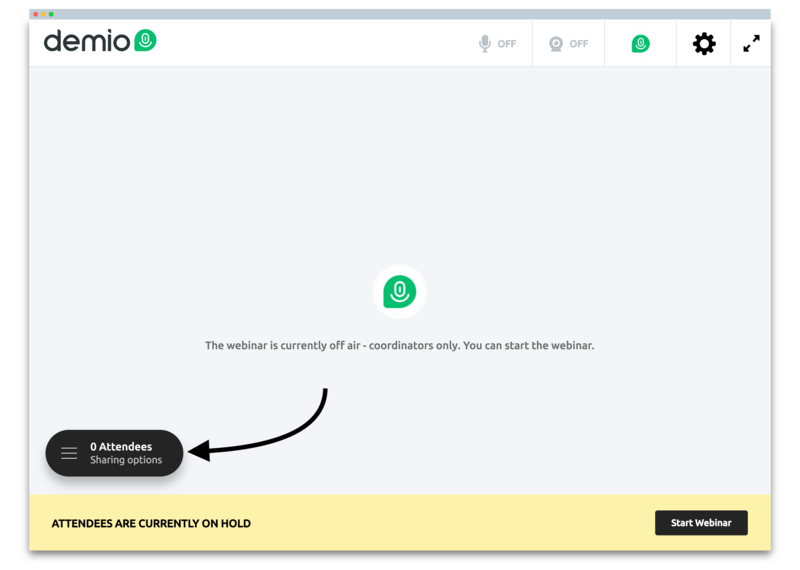 Once you've added it in as a Material, anyone who has Presenter controls (Hosts/Coordinators) can share it during the webinar. 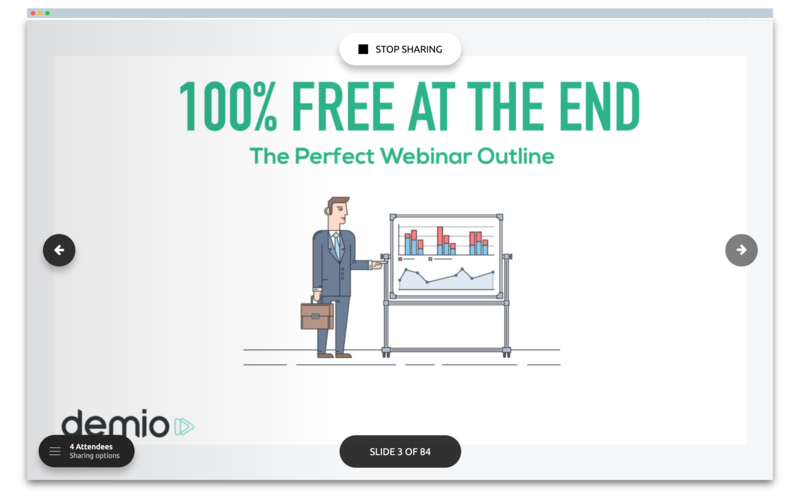 From your webinar room, you'll want to open up the Backstage Panel by selecting Sharing Options in the bottom-left corner. 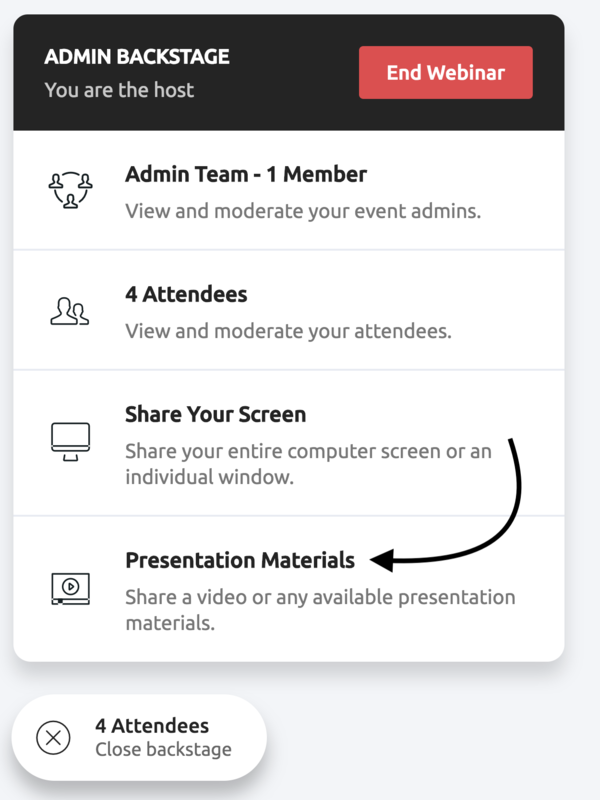 You'll see the Admin Backstage Panel appear with a few sharing options, including the ability to select a Presentation Material. 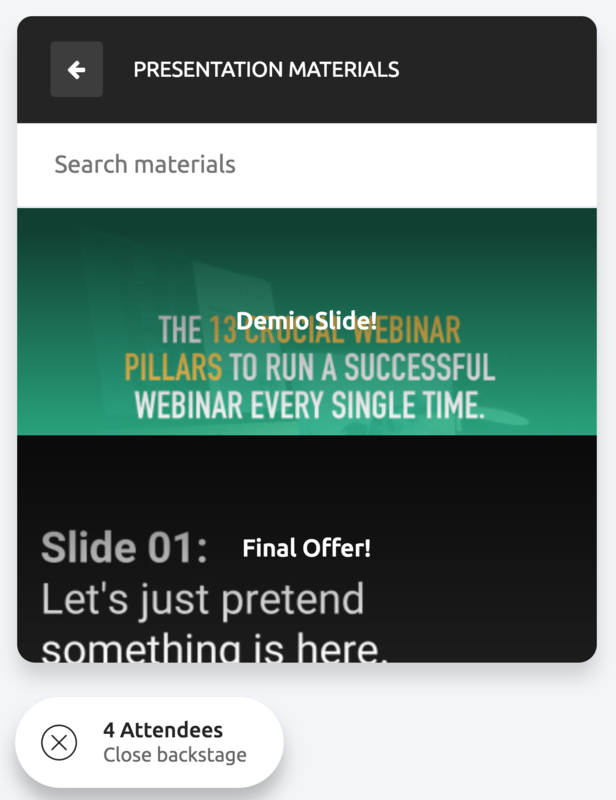 You'll then be brought to a list of your slides available with hover cards, making it easy to preview the slide you wanted to choose. You also have the option to search for the title of the slide, if you needed! Once you Start Sharing a Presentation, it'll be shown on the Main Stage! You'll notice a few main options. Towards the left and right, you'll see arrows allowing you to jump to the previous/next slide. You'll also find a slide counter, now located directly beneath the slide to allow you to keep tabs on the progress of the slide. Lastly, you'll have a quick option located at the top to Stop Sharing the slide at any point! If you open up the Admin Backstage, you'll also be able to Stop Sharing the slide by hitting the newly created Slide Status at the top! Here's something neat to keep in mind! 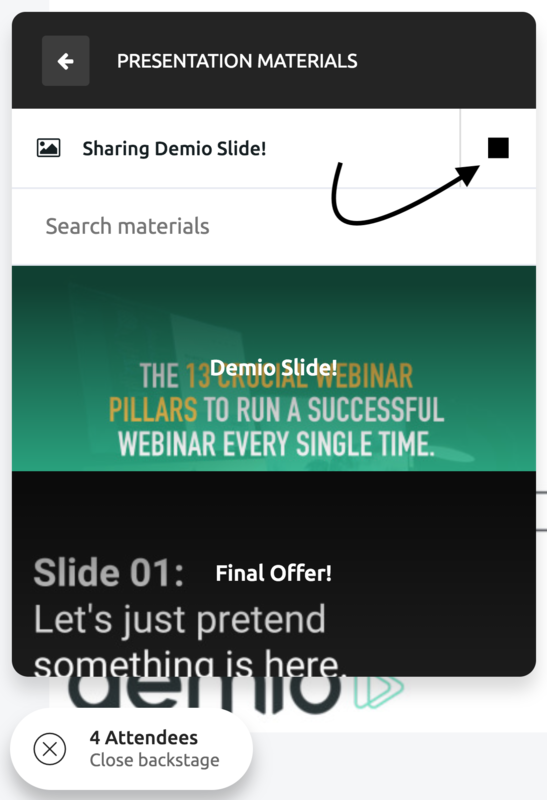 If you Stop Sharing your Slide Presentation or share a different Stream (Video Material or Screen Share) midway during your Presentation, jumping back into the same Slide Presentation will resume right where you left off! Note: this does not apply if you start sharing a different Slide Presentation file—only if you jump between Video Materials/Screen Sharing options or Stop Sharing altogether.